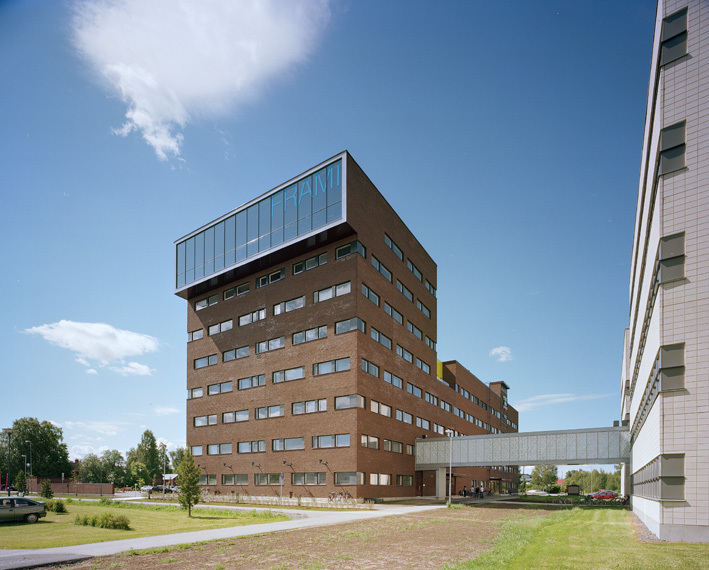 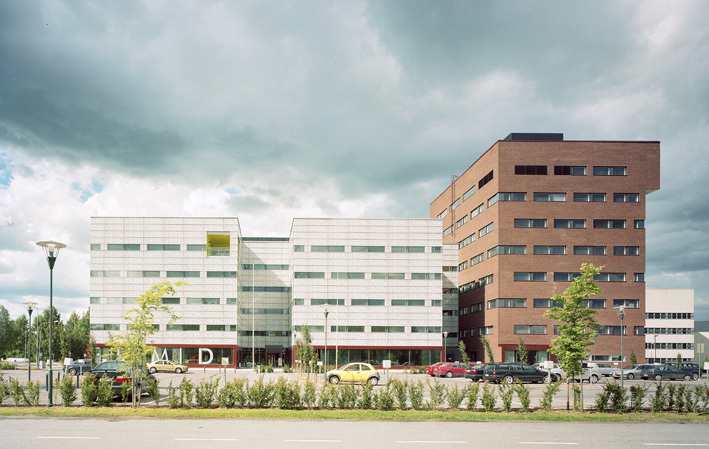 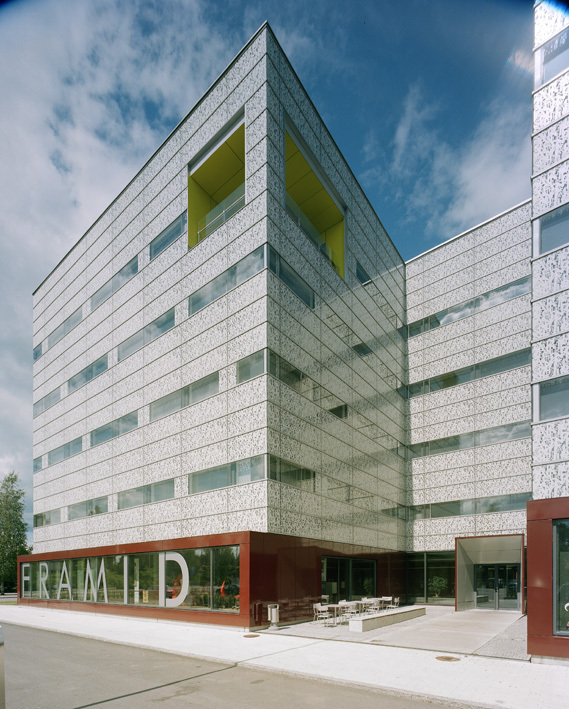 Located in Seinäjoki, Finland, Frami D office building works as an extension for a local technology centre, a hub for innovative companies, start-ups and technology-related educational activities. 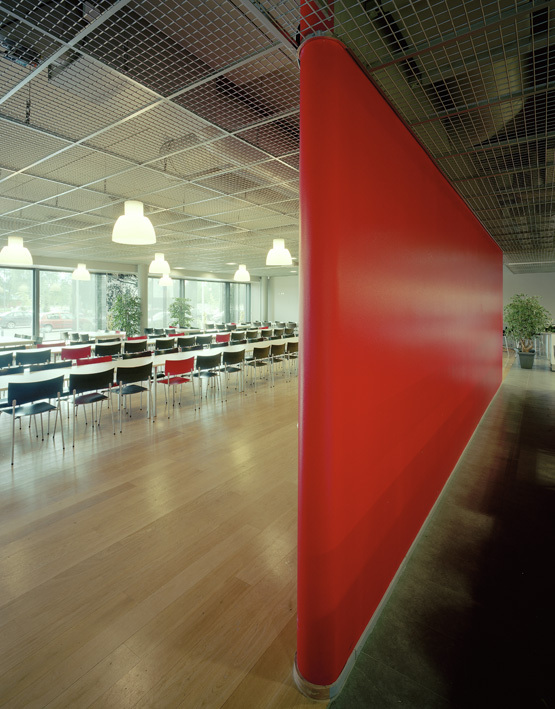 The spaces of Frami D are designed to be rented out to companies and entrepreneurs with a great range of different types of needs. 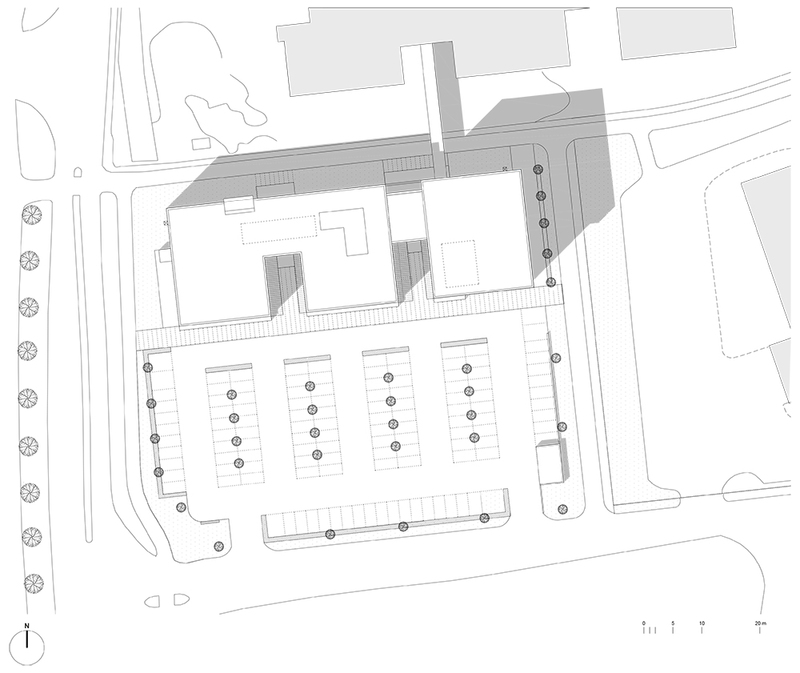 The spaces are designed to be able to be flexibly altered according to the varying needs of its users in order to make it possible to accommodate tenants ranging from a one-man office to a landscape office arrangement for a company with several hundred employees. 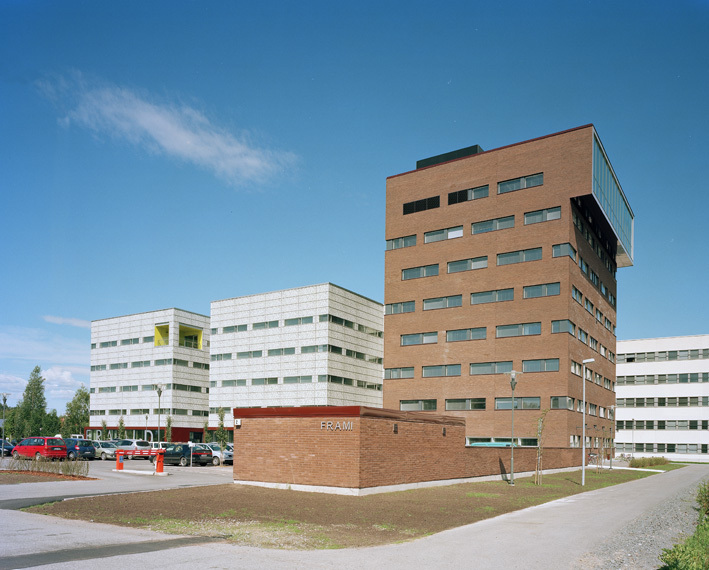 The site is located on an area of former farmland onto which the city has gradually expanded over the past few decades. 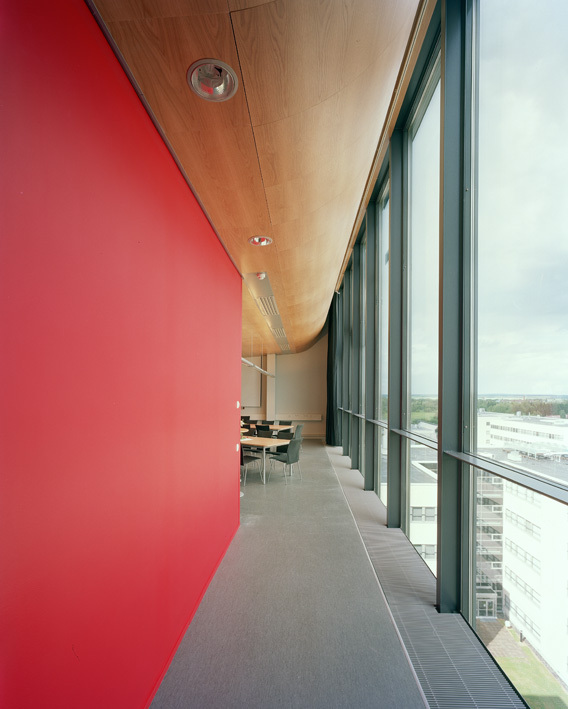 The materials used have been carefully selected with the qualities of the surrounding landscape in mind, relating the building both to the expanding city and the adjoining countryside. 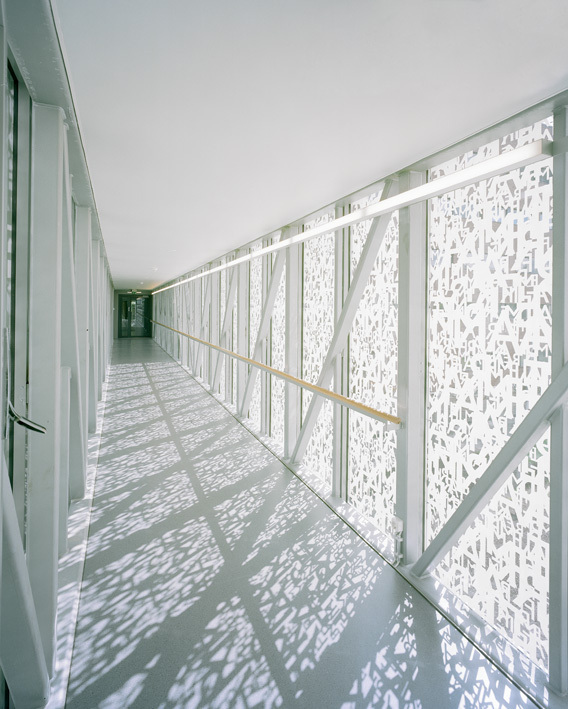 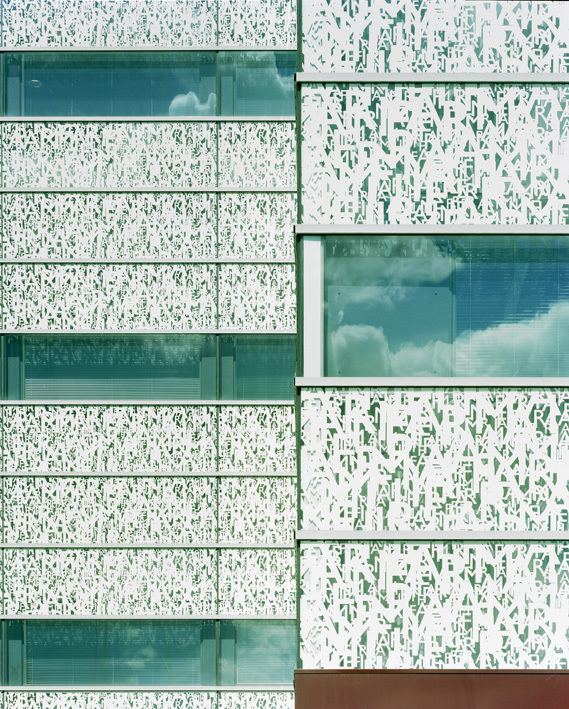 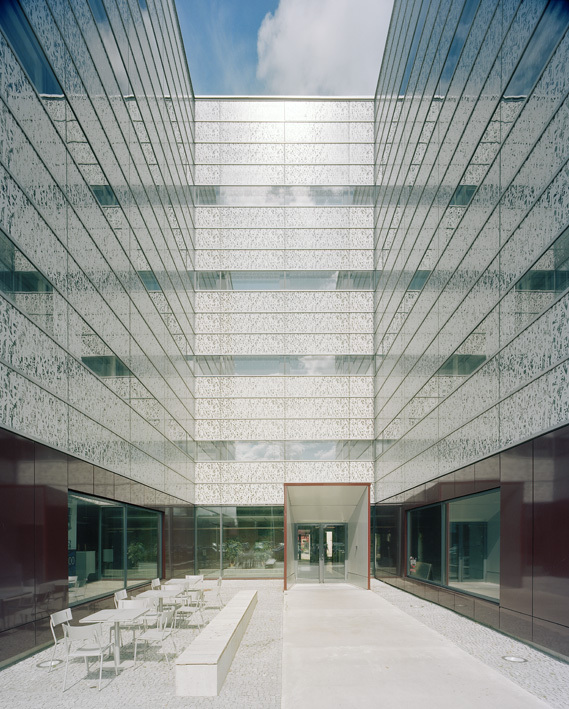 The use of printed glass and brick laid on site was chosen in order to provide long-term durability and sustainability. 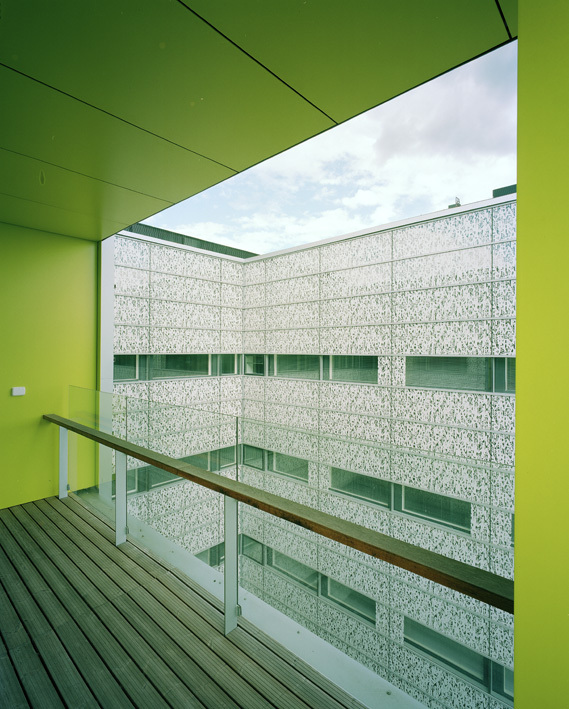 The cladding materials provide the building with a sense of compactness on the east façade, and respectively of openness on the west side. 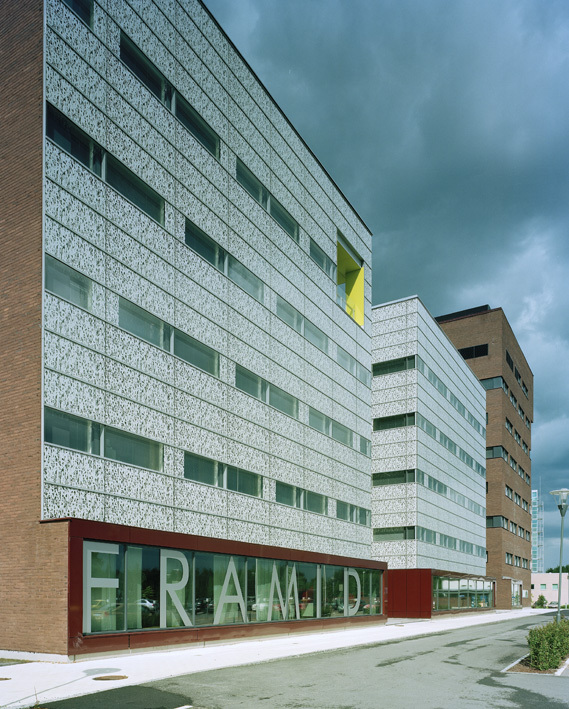 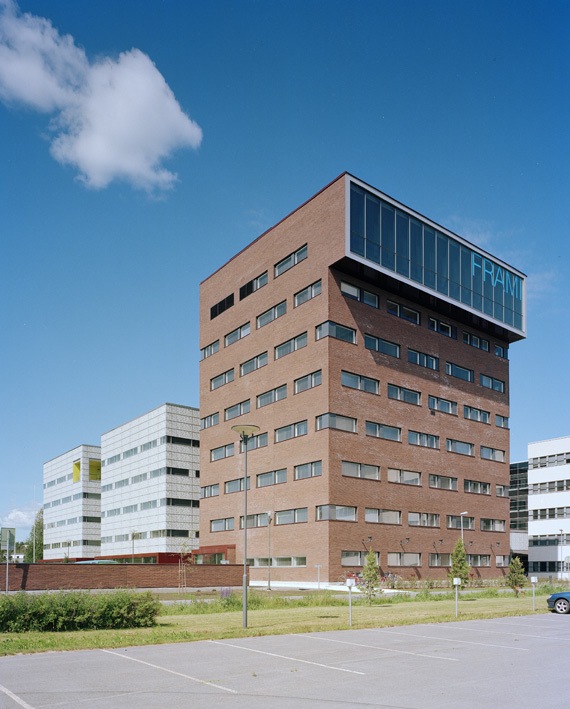 The concrete structure is cladded in dark red, handmade bricks on the eight-floor unit and the east façade; silkscreen-printed glass covers the west façade and the entrances, while entryways and the ground-floor façade on the west side of the building are emphasized by bright-coloured painted aluminum sheeting.